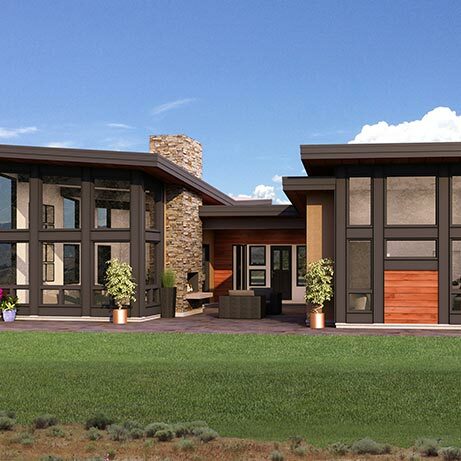 Welcome to our gallery of energy efficient floor plan concepts. 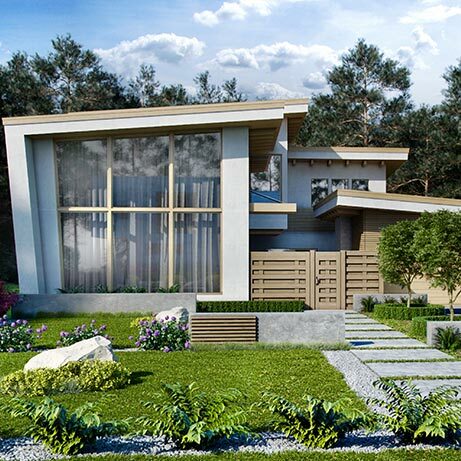 We have created a variety of layouts and exteriors to inspire you. Browse by name, size or recently added. All of our high performance plans can be customized to fit your unique needs, or let us design from scratch. 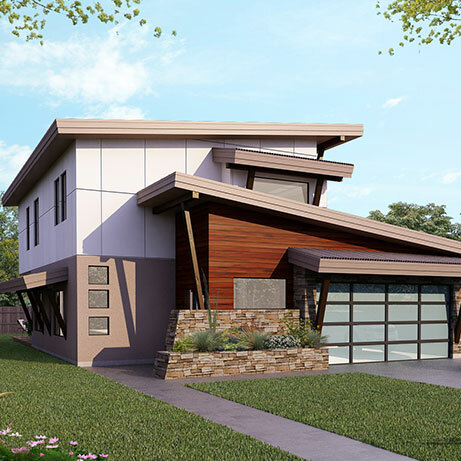 Comfort and efficiency are maximized in this modern single-level floor plan. 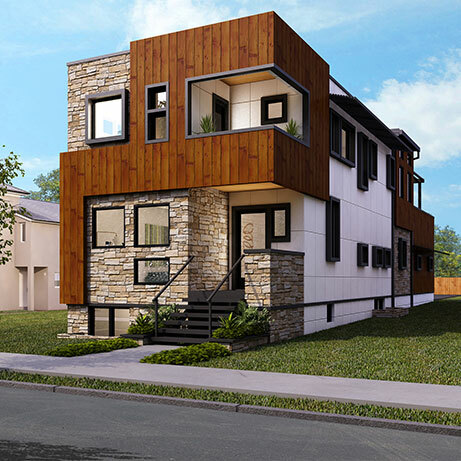 Perfect for extended families with four bedrooms and a separate guest suite - plus an office. 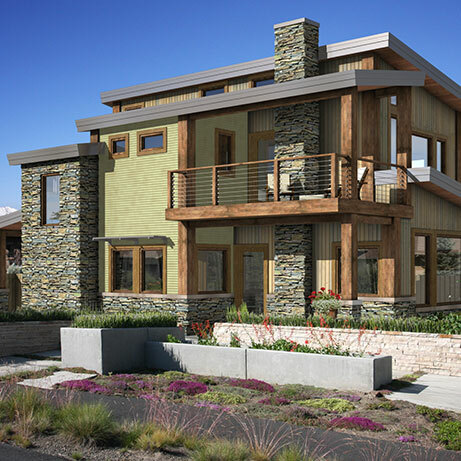 A family design with two rooms upstairs, master on main and shared space that extends outdoors. 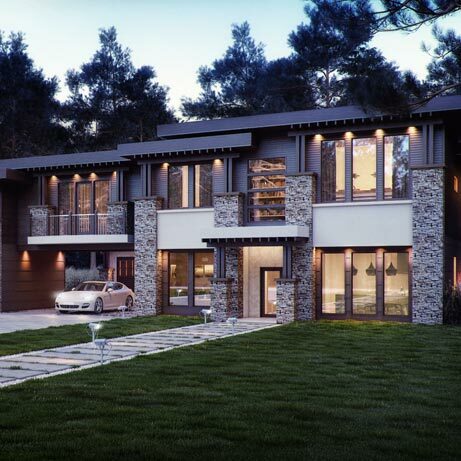 A modern approach to the traditional suburban design, the Manchester utilizes light and space to the fullest. 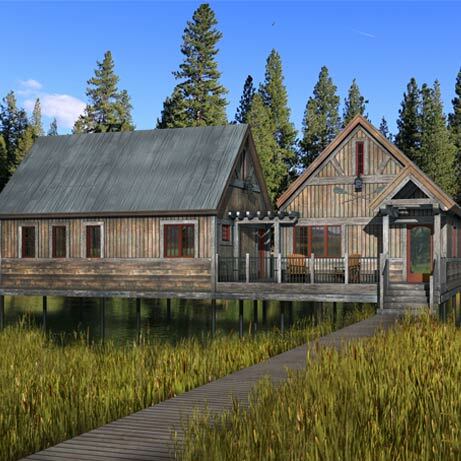 An efficient fishing / hunting cabin that is quick to assemble and requires less energy to heat. 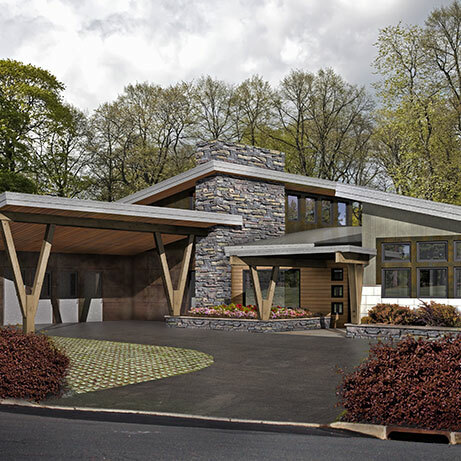 This single-level's unique layout integrates the outdoors with its main living space. 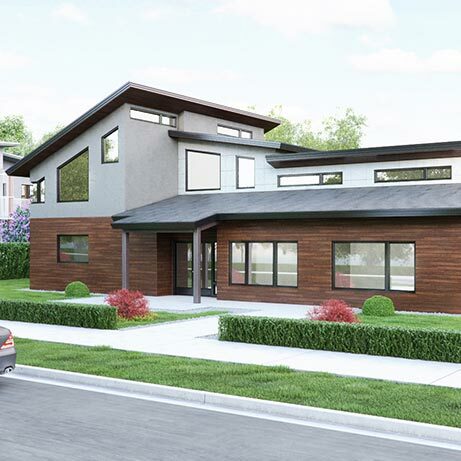 The Hilliard's modern design features a main level master suite and plenty of space for entertaining. 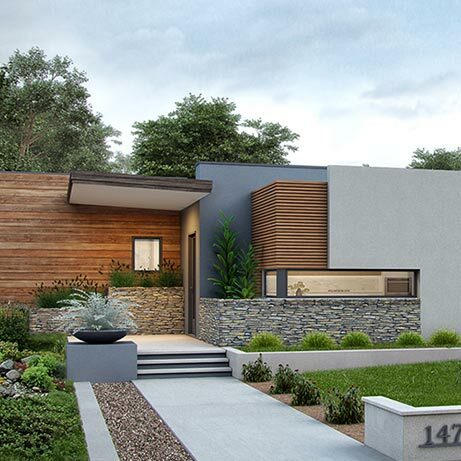 Ideal for infill lots, this compact layout lives large with multiple outdoor spaces. Capitalize on any view with this sprawling design's geometric window groupings. 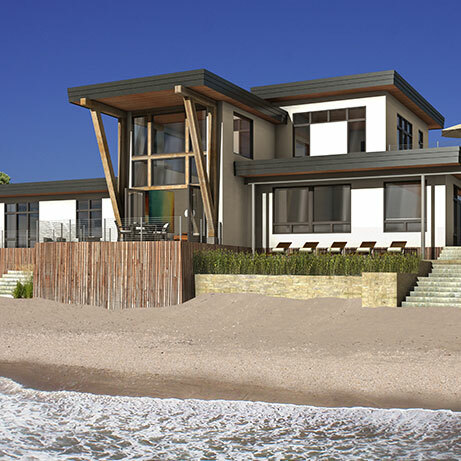 The West Port's efficient layout can be ideal for contemporary living as well as large gatherings. The Berkeley's split level, open layout is filled with abundant natural light. 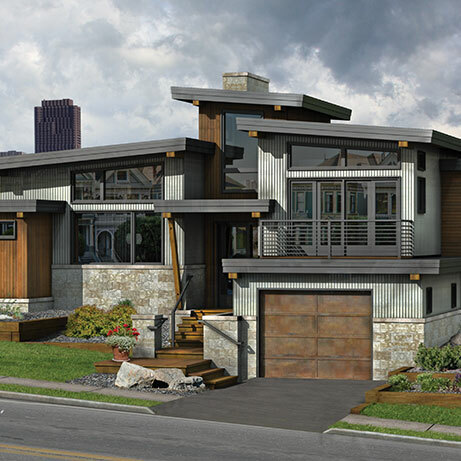 Deep sloping ridge lines and signature "V" timber accents create a distinct curb appeal.